Several months ago, my Twin Flame and I went through Hell and back. Both of us come from lineages where verbal abuse was the norm. We’d been flying through predominantly peaceful skies…until my dad went into the hospital and both of us were immensely stressed. Taking three months off from work harmed our health, energy, emotions, and finances. My beloved’s verbal turbulence seemed to come out of nowhere! Here is a video to help you unlock the tricky ancestral patterns that can block you from having and keeping a healthy Twin Flame Union. In under a month, we were able to clear some deep and painful verbal abuse patterns in our relationship. This video is probably going to be painful to watch. We are not masters or experts in maintaining a relationship; we merely help single women call in their Twin Flame/ultimate soulmate. It was painful for us to make and share this video with you, but we feel it was important step in healing not only our patterns and blocks, but to free others from shame and fear. The video is also about healing family patterns, abuse patterns, and emotional dysfunction. It’s time to let go of the shame, and to up our game together in the new relationship paradigm tribe. 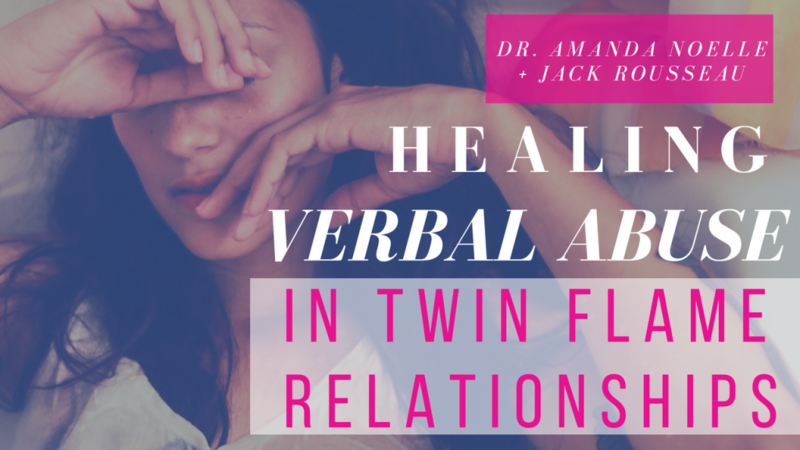 Welcome to Twin Flames Raw & Real Naked Truth Episode on Verbal Abuse. Please note that since producing this video, we say that we have fully healed out our verbal abuse patterns. I (Amanda) no longer play the role of the victim, and Jack no longer acts as the perpetrator. We can have conscious conversations and work things out before things blow up. We couldn’t have done it alone; using support from counselors, energy healers, and good friends we were able to completely change the unhealthy relationship patterns that were tearing our relationship apart and separating us from Creator. 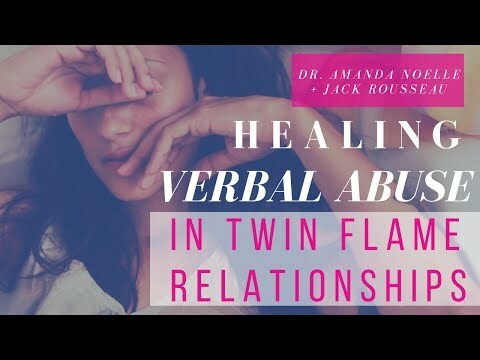 Please post in the comments below what you think of the video or anything you have to share about Twin Flames and verbal abuse. Thank you. Blessings to you on a peaceful Twin Flame Union my friend! PS: Don’t hesitate to reach out for a hand. I am here to help! You can learn more about my services here.